In support of their longtime collaboration with and support of musical endeavors, Vans has announced a special reissue of four of their most popular band shoe collaborations. The shoes will be re-released at noon every day at SXSW at the Vans Village lot March 12 through 15. 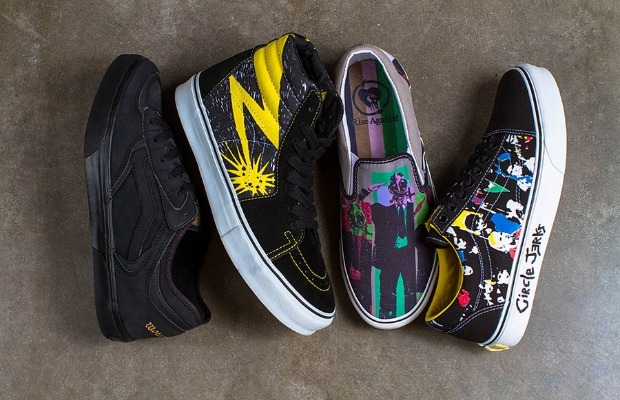 50 pairs of shoes featuring Circle Jerks, Motorhead II, Bad Brains and Rise Against will be available at SXSW and 100 additional pairs will be available at Vans.com the next day.